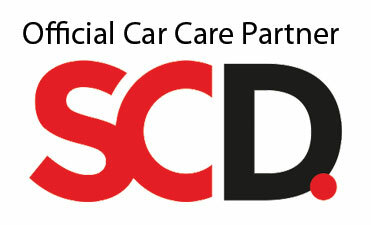 Based in Dunsfold our state of the art studio is home to the finest detailing and protection services on the market. 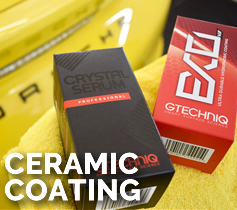 With accreditations from Swissvax, Koch-Chemie, Gtechniq and Llumar, Reep Southern is the home of luxury car care. 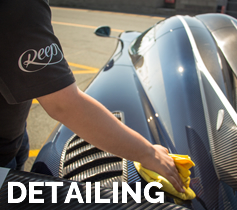 Using the finest products from industry leading manufacturers, Reep Southern will be the only place for all your vehicle detailing and protection services. 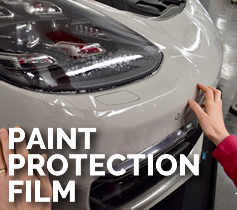 We offer a range of detailing, paint protection and ceramic coating as well as a windscreen protection solution ‘Clearplex.’ As part of the Reep Network we’re sure to have a solution for your vehicle, and can accommodate your needs from our Dunsfold based studio with our trained and industry accredited technicians. For a tailored quote, bespoke to you and your vehicles detailing or protection needs, please contact the team on 01483 917319, or alternatively feel free to call into our Dunsfold based studio and take a look for yourself.